The Alfred Publishing Company and Bruce Klauber are proud to announce the publication of "Gene Krupa: The Pictorial Life of a Jazz Legend." This eagerly-awaited book is a photographic presentation of the life, times and music of "that ace drummer man." With over 200 photos that span six decades of jazz history, this most visual of performers, the man who made the drums a solo instrument, comes alive like never before. Contributing their own singular and often heartfelt insights about Gene are the finest drummers in music today, including Phil Collins, Tommy Aldridge, John Blackwell, Peter Erskine, Ed Shaughnessy, Peter Criss, Kenny Aronoff, Alphonse Mouzon, Carl Palmer, David Garibaldi, Carmine Appice, Alex Acuna, Neal Peart and Steve Smith. Incisive commentary from noted percussionist and video producer Dr. Bruce H. Klauber provides a definitive retrospective about Gene's music, drumming, drum setup, and important contributions to the evolution of the drum kit. 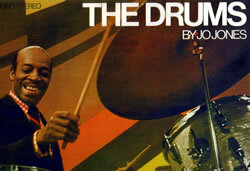 The companion CD includes previously unreleased tracks covering five decades of Krupa's unmistakable drumming. 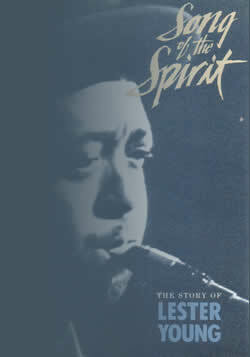 The touching introduction was written by the late Bobby Scott, Gene's good friend and pianist in the mid-1950s, from a never-published memoir. "Gene Krupa: The Pictorial Life of a Jazz Legend" is a must-read for fans of Gene Krupa, the swing era, jazz, drums, and drumming. 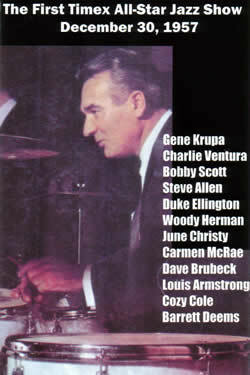 "World of Gene Krupa: That Legendary Drummin' Man," with an introduction by Mel Torme`. 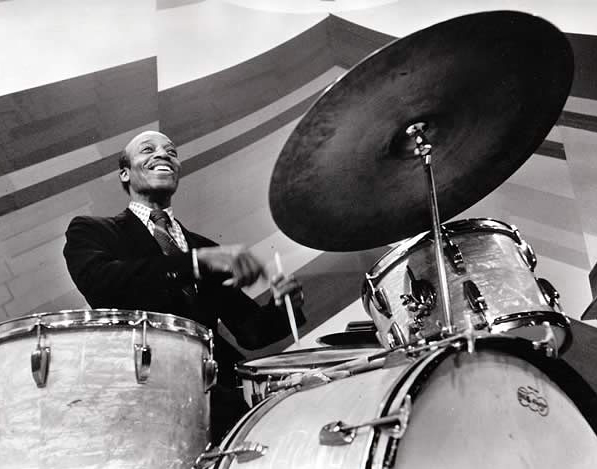 This book describes the career, music and life of the man who made the drums a solo instrument, the man who symbolized the swing era and the man who is still internationally recognized by millions as "the world's greatest drummer." Interviews with Gene and his many musical associates, articles written by the man himself, reviews of his groups, filmography, selected discography, rare photos and more. 214 pages with dozens of photos. Autographed by the author. For all the would-be "hide-beaters" who always wanted to know just how Gene Krupa palyed the way he did, "The Gene Krupa Drum Method" is a must. This instructional book contains note-by-note, musical transcriptions of the Krupa solos heard on the "Gene Krupa: Jazz Legend" video. As a bonus, the second half of the book is a reprint of the rare, "Gene Krupa Drum Method" drum instruction book first published in the late 1930's, and includes the only note-for-note transcription available of the original version of Sing, Sing, Sing."